Combiner Wars Liokaiser In-Hand Images – Order Page Live! The Combiner Wars aren’t done yet – Liokaiser is on the scene! The Entertainment Earth exclusive box set for Liokaiser is finally available in the States, in stock and able to be ordered now. On top of being able to order him now, there is a coupon available to get a discount – use coupon code SINGLES at check out to get free shipping, $20 off, and a free Transformers diorama. Liokaiser @ Entertainment Earth. If you’re looking for more, Entertainment Earth also has a good deal on Fortress Maximus. He’s on sale for $130, can use coupon EARLYBIRD for an additional $20 off, and comes with free shipping. So $110 shipped! We got our hands on a copy of Liokaiser already and have run him through a detailed photo set with 195 HD shots. You can check the full session here in our Reflector @ TFW2005 toy gallery – Liokaiser (Box Set) – Transformers Combiner Wars Gallery. Take a look then head on over to EE and grab your copy! You can read on for a couple key shots and discussion. 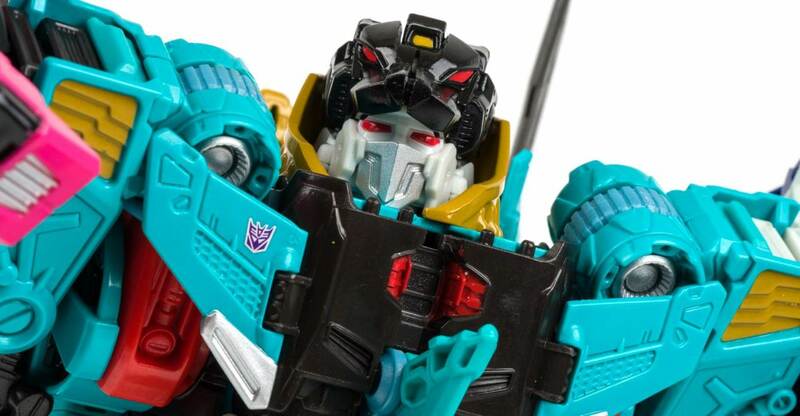 A few online stores got the upcoming Walgreens exclusive Titans Return Brainstorm in early – we got one, and we’re now sharing a full-scale gallery of the Autobot scientist with you! A Deluxe class figure, Brainstorm is a remold of Titans Return Blurr, but he does enough with the design to get his own identity. Robot mode is on-point for the look of the Generation 1 toy, while the vehicle mode does miss the mark slightly, being a bit too sleek and elongated due to being a Blurr remold. Two things that particularly bothered me on the design were the way the guns on the nose of the jet no longer become Brainstorm’s handguns – a sacrifice to keep the parts count down – and also how the canopy does not completely enclose the cockpit. Minor quibbles, but they throw off some of the look and enjoyment of the toy for me. The robot mode does have a decent amount of poseability though, and Brainstorm can strike some good poses, so no complaints there. 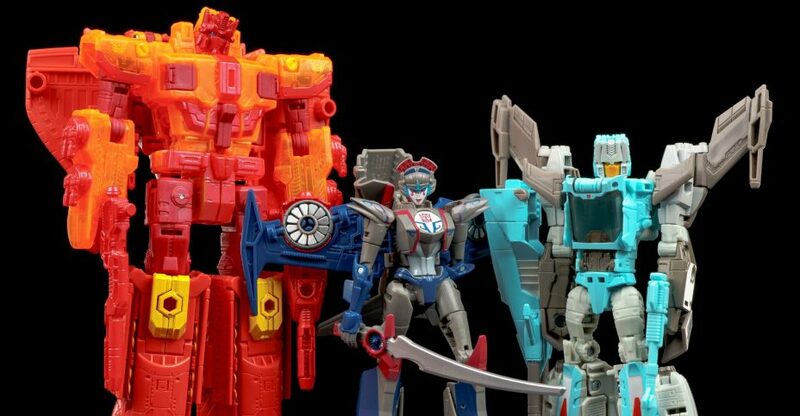 By making Brainstorm an exclusive, he’ll be a bit harder to track down, but we’d say he’ll be worth it to have all of the Headmasters together in the same aesthetic and scale. Check out his gallery after the break to see for yourself. Next up in our look at SDCC 2016 Transformers exclusives is the Titan Force 3 pack. The set contains unique variants of Titans Return Sentinel Prime, the first run of Titans Return Brainstorm, and a Fort Max inspired deco of RID Windblade. Meant as a compliment to Fort Max like last years Combiner Hunter 3 pack was to Devastator, the set kicks off the Titans Return line with a slew of exclusive bots. We’ve run them all through a session here, check out over 150 pics of the trio at the links below. Key shots for each are attached to this story and you can check them after the break! SDCC 2016 has come and gone but the giant from the show is here at TFW2005 today, Fortress Maximus! The con exclusive piece featuring the Master Sword, lights and sound Cerebros, metallic stickers and alt paint retakes his throne as tallest Transformer ever. We’ve run him through the motions with over 150 HD shots. Take a look after the break at a select few, and jump on over to the full gallery here. Don’t forget to share your thoughts on the 2005 Boards! We’re back to share another Transformers toy gallery with you, and next up, it’s Robots in Disguise Starscream! 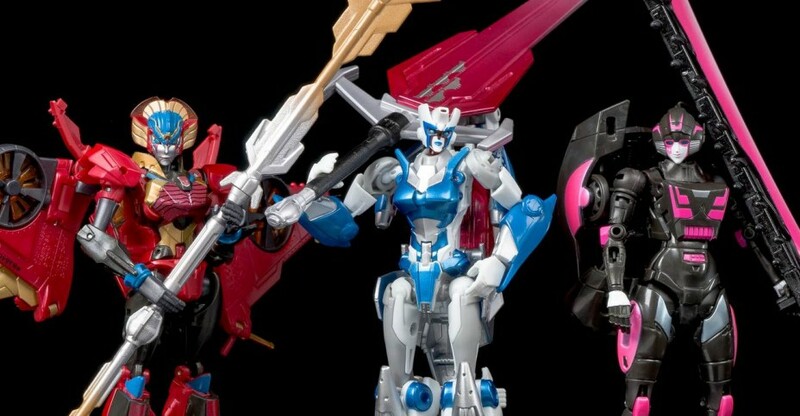 A Toys R Us exclusive as a part of the second year of the Clash of the Transformers subline, Starscream is a part of an assortment with a redeco Power Surge Optimus Prime and Beast Wars Scorponok homage Paralon. Starscream as a toy is good, and fun to mess around with. He’s got a good range of articulation, and it is all largely uninhibited, except that the shoulders occasionally catch on the wings. The robot mode looks great, and I’m particularly fond of how the wings sweep back from the shoulders like a cape. The overall look is a hybrid of Animated and Classics Starscream, with a few cues from Starscream’s 1986 coronation look thrown in. The transformation is fun and straightforward, but also has some clever moment, such as how the wings wrap around. The shoulders and arms do stay stuck out of the side of the jet – the tops of the shoulders are more visible in some angles than others, and the arms peg in with the hands tucked away so you can say they are engines, but ultimately those parts do kind of just hang there. Back at Toy Fair 2016, Hasbro showed off a unique 2 pack of RID 20xx Bumblebee and Grimlock. They featured upgraded paint and Grimlock was noticeably bigger, using the Takara-Tomy Battle Grimlock mold. On top of that, the set was packaged in the Generations & Platinum branding, outside of the Robots in Disguise line they originated from. Well today that set is available exclusively in the U.S. at Entertainment Earth! On top of that, we have the set in-hand and have done up over 55 pics of the two in action. Read on to check out our pics and additional details from Entertainment Earth! We’ve got another great new gallery to share with you – a look at the second of the two Million Publishing Generations 2014 mail-in exclusives. Yes folks, this time we are taking a look at the Million Publishing exclusive Generations Goshooter! Goshooter, or Go Shuta, was a human ally of the Autobots in the 1988 Japanese series Masterforce, and the son of the late Professor Go who was slain by the Decepticons early in the series. Taken in by the Autobot Pretenders, Shuta was eventually given the ability to become a Headmaster, and a patrol car to merge with to form his Transformer body, Goshooter! Generations Goshooter is not a Headmaster – rather, he is an excellently executed redeco of Generations Nightbeart, the winner of a poll of ten possible redecos for the second Generations 2014 exclusive. Other than the lack of a lightbar, Goshooter looks exactly as he should compared to his Generation 1 counterpart, right down to the police badges on his car doors and hood. 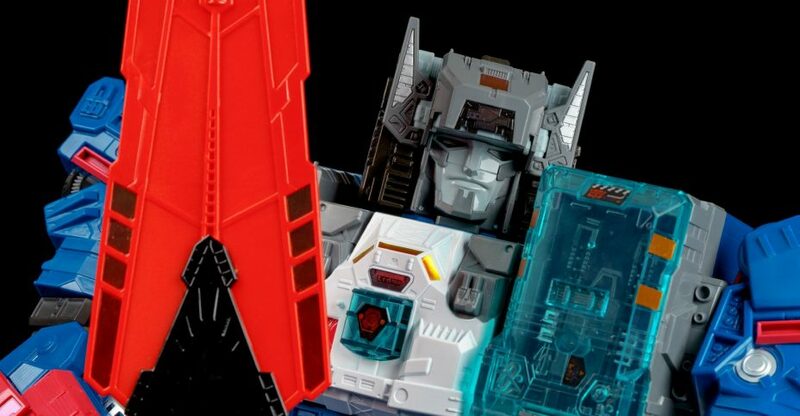 In lieu of a Headmaster, his partner Go Shuta is represented as a Targetmaster partner – a redeco of Blazemaster, who was included with the 2013 Legends Bumblebee figure. Go Shuta is equally well done, with a great deco that gives him a show accurate look – plus the gun really works on Goshooter. Overall, this is one of my favorite exclusive redecos to have come out over the last few years, and also my favorite version of this mold. TFW’s Transformers galleries updates return with a look at something cool, exclusive, and Japanese! The Million Publishing Transformers Generations books have had one or more volumes released over the last few years, and the majority are accompanied by a mail-in exclusive toy, and today, we’re taking a look at one of the Generations 2014 mail-in exclusives – here to share with you, a look at Generations Shouki! For those not familiar with the name, Shouki was a character from the 1987 Japanese exclusive series, The Headmasters. He was a part of the Autobot combiner team, the Trainbots, and transformed into a bullet train. This Classics update of Shouki recreates that alternate mode – sans combination – using the Classics Astrotrain mold as a base. As with many of Takara’s exclusives, the deco looks amazing, from the gradient on the side panels to the detail on the chest. Astrotrain’s shuttle mode is explained away as Shouki going on an infiltration mission, masquerading as the Decepticon shuttle Thunder Arrow (better known in the west as Skystalker’s shuttle). Shouki also comes with a bonus Mini-con partner figure, who represents human ally Daniel Witwicky in a special exosuit that resembles Skystalker. This is a nice add-on, as Daniel can attach to Shouki’s train mode to form a pantograph, to pick up electricity for the train mode from overhead lines (what this would do to Daniel is best left to the imagination). Daniel can also turn into a bow for Shouki to use in robot mode, which is a cool extra, though Daniel does not attach to Shouki’s arm all that well (the arm guards / shuttle nose gets in the way) and the weight also tends to pull the ball-jointed shoulders down. It is a pity, because the effect does look good once posed. It’s a lazy Saturday afternoon here so why not check out a random photo shoot for a recent figure – the Tokyo Toy Show 2015 Black Convoy. This came in during the frenzy of the summer con season and I was finally able to get around to shooting it recently. Some may know I am a big Robots in Disguise fan – the OG RID, not the current series. 15 years later and I still try to get a hold of all the homages, reuses, and updated characters so I had to have him! This is a repaint of the Reveal the Shield G2 Optimus Prime mold, which is perfect because the original Black Convoy toy in Car Robots used the G2 Optimus Prime mold as well. This was also done as a club exclusive, though a bit differently, as Scourge in recent times. The TTS2015 version however stays true to the Japanese toy with a pinkish hue to the clear plastic, no big G2 symbol on the door, and a darker grey base. The paint apps are also in more abundance and a bit sharper. Overall it’s a pretty awesome upgrade and very close to what we hoped for a couple years ago with our Scourge NOT NEMESIS PRIME meme on the boards. If this was shifted to a red tint on the clear plastic and swapped to Decepticon symbols, it would be a perfect Hasbro / Scourge upgrade in my opinion, one can only hope! Read on for some key shots attached to this story and discussion! SDCC Combiner Hunters IN HAND Gallery + More Devastator!